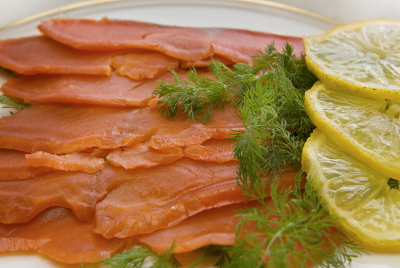 My Scotch cold smoked salmon recipe is easy to make and straight forward to prepare. This recipe is used by many commercial smoked salmon producers however I have prepared it a number of times to reduce the salt and sugar content to the minimum while still achieving the desired texture and flavour. Does This Cold Smoked Salmon Recipe Require Special Equipment? Any chamber that has ventilation to create an airflow is good enough and on top of that you just need a little tool called a cold smoke generator. There are lots of different versions on the market (I have my favourite) and they're not expensive to buy, click here to read about the 3 best alternatives. In the past I've used an old wardrobe with a holes drilled in the bottom and the top, I now use my Monolith ceramic grill as the food chamber with the smoke generator in the firebox. To make Scotch smoked salmon is a major milestone in any smoking enthusiasts journey so follow my the simple steps of my cold smoked salmon recipe and choose the right fish. Use the freshest fish available. I also include frozen fish in this point, in fact frozen salmon can actually be a better starting point because it helps the drying out process and weight loss. When frozen the water in the salmon cells expand and break the cellular structure of the muscle but when the salmon thaws, some of the water in these broken cells is released. Commercially salmon is frozen to -18°C (0°F) which is sufficiently low to kill all parasites. If this is a concern (possibly with farmed salmon) then here's another good reason to start with a frozen fish. Note: I have found also that some of the natural oil is lost during freezing so for that reason I've added an extra "oiling" step into the drying process. When it comes to fresh fish you're looking for salmon that looks like it has just come out of the water, eyes are clear (not bloodshot), gills are pink and the skin should not be slimy. If a fresh salmon doesn't pass these visual tests then move on and find one that does. Fresh Run Or Farmed Salmon? If possible buy fresh run salmon, it's muscle tone is firmer than its farmed counterpart. If you can only get a farmed salmon then don't discount this cold smoked salmon recipe just don't hang the fish to dry and smoke because you run the risk of it falling apart. Cut it into fillets so that you can dry and smoke on a wire rack. Note: If you cut into fillets then make sure you do this before adding the salt cure so that all exposed sides of flesh get their share of salt. You'll get the best results from the more oily Salmon and when it comes to Scotch smoked salmon that means the Atlantic salmon. 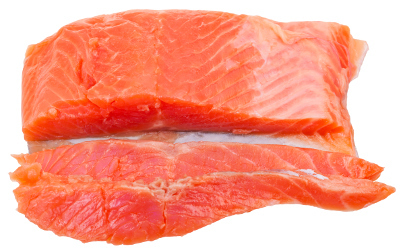 That said, of the Pacific salmon, both Sockeye and Keta (Chum) salmon make excellent alternatives. Before the fish goes onto the smoker, it should be kept in the refrigerator at approx. 4°C (39°F). 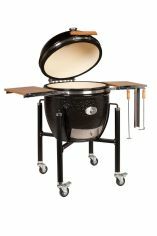 As stated above, when in the smoker, the temperature must not exceed 30°C (86°F). The salt dry cure that I use is corrosive, so be safe, use glass bowls or professional standard (type 304) stainless steel. Sorry but I've got to say it... my cold smoked salmon recipe contains fish! Having chosen your salmon ask your fishmonger to fillet it to give you a couple of sides. If you want to do the filleting yourself then use this guide which not only covers the filleting, it also shows you how to pin bone the fillet too. The following steps below are easy to do, each one helps the process of weight loss (which will be the judge of when the salmon is ready to eat) and need to be done more or less at daily intervals. According to Norwegians, a salmon should be caught on the Thursday, smoked on the Sunday and eaten by the following Wednesday. My cold smoked salmon recipe pretty much follows these traditional guidelines. Take one of your fillets, weigh it and record the weight. Insert a cocktail stick in it so that you can identify later. Rinse the salmon fillets under cold water, let them drip dry for a couple of minutes then wrap them individually in kitchen towel. Next wrap in a couple of sheets of newspaper and refrigerate overnight. Remove each fillet from its paper wrapping and weigh one. Apply the formula of 2 teaspoons of salt for every 450g (1 lb) weight of fish and rub this salt into the salmon fillet. Take care to apply all over the exposed flesh, use more salt on the thicker parts and less on the thinner parts. There's no need to salt the skin. Note: A commercially produced cold smoked salmon recipe would probably have about double the salt content compared to what I have used. I don't think it's necessary but if you prefer a saltier taste then by all means add 3 teaspoons pre 450g weight of fish. When every fillet has been salted, return the salmon to the refrigerator for 24 hours uncovered. The salt will now have penetrated the surface of the salmon and it's now time to allow it time to equally distribute itself through the flesh. This process is called equalisation and is simply a matter of time. If you decide to weigh your (cocktail stick) marked sample you'll probably find that you've already reduced the weight by about 8% or 9%. Rinse the excess salt off the surface of each fillet (a very short rinse) wrap again in kitchen towel and 2 sheets of newspaper and return to the refrigerator. Take the fillets out of their wrapping and liberally rub with olive oil. Return to the refrigerator overnight uncovered. Remove the salmon fillets from the refrigerator and place them on a board. Take a dry cloth, soak it in the rum and then use the cloth to wipe down every fillet. Do it gently and be liberal with the rum. There's no need to worry about getting "sozzled" when you eat this salmon because all the alcohol will evaporate during the remaining drying and smoking. Next weigh each fillet again and apply the brown sugar to the tune of 2 teaspoons to every 450g (1lb) weight of fish. Pat the sugar onto the flesh and note that if you used more than my prescribed amount of salt, then now use the same larger amount of sugar. Return the salmon to the refrigerator (uncovered) for the day. Use a wet cloth to remove any excess sugar from the surface of the salmon, then rub with olive oil and return to the refrigerator uncovered overnight. You've spent 4 days preparing your salmon for smoking so this is the day to relax and enjoy. Get up early to make the most of your day and start with the rum. No not drinking it! Repeat the process of gently rubbing the fillets with a dry cloth soaked in dark rum. When done, place all the fillets skin side down on the cooking rack of your smoker and leave to dry for about 2-3 hours depending on thickness. Ambient temperature is fine, just ensure that it is not over 30°C (86°F) and that there is good ventilation. Too high a temperature and stand the risk of cracks appearing in the flesh of the fish because it's drying too quick (and therefore unevenly). Drying is complete with the flesh takes on a sheen and the surface forms a light crust (called the pellicle). You can now start smoking. I use a Grillson smoke kit because it's easy to light and I've got a choice of 14 different flavours of wood pellet to choose from although my favourite is the OHC blend (Oak, Hickory & Cherry). Get your smoke generator going and place it in the firebox of your BBQ smoker, ensure that there is an airflow and smoke your salmon for 5 hours. My cold smoked salmon recipe isn't prescriptive of exactly how many hours of smoking are required because the ultimate test of completion is when the weight has reduced by somewhere between 17% - 19% compared to the original weigh in that you recorded at the start of the process. If you haven't achieved that weight reduction, don't worry, just return your fish to the smoker with or without smoke and let the drying process continue. You can always return it to the refrigerator overnight and do more drying / smoking the following day. When you're happy with the weight loss, return the salmon fillets to the refrigerator and rest overnight. This just allows the flesh to firm up and make it easier to slice. There ways of eating cold smoked salmon are endless! In our house we sometimes find it hard to get past "hand to mouth" with a drizzle of fresh lemon juice. It's a must on Christmas day, chopped up and added at the last minute to scrambled eggs for a Royal breakfast on the big day. Despite being English I have to confess that I know that to call my cold smoked salmon recipe "Scotch" is going to put a shiver up the spine of every Scot. I've called it my Scotch cold smoked salmon recipe to try and make it clear to whomever is reading this wherever in the world that they can relate to the end product. Ultimately however I do know that the description "Scotch" is not correct. Scotch however is used in North America to refer to a broader range of food stuffs including the cold smoked salmon and also here in England we talk about the Scotch Egg and Scotch Broth. If I have offended then I apologise, I just want to ensure that my Scotch cold smoked salmon recipe reaches the widest audience because it really is worth the time to prepare and delivers such satisfaction when you eat it.